I got back from my run yesterday and dramatically flopped onto the floor of my dorm room, drenched in sweat (sorry, roommate). While I chugged a bottle of water, I checked the weather app on my phone, convinced that it had to be at least 85 degrees outside. When the temperatures starts to pick up, I wonder –every year without fail– how I’ll survive an entire summer of blazing hot runs. Thankfully, my body ends up adjusting after a while, and while running in the heat can be tough, it’s doable as long as I plan my runs a little bit strategically. 1. Give yourself time to get used to the temperature change, and adjust your expectations so you’re not frustrated when running feels suddenly feels harder than usual. I can completely sympathize! 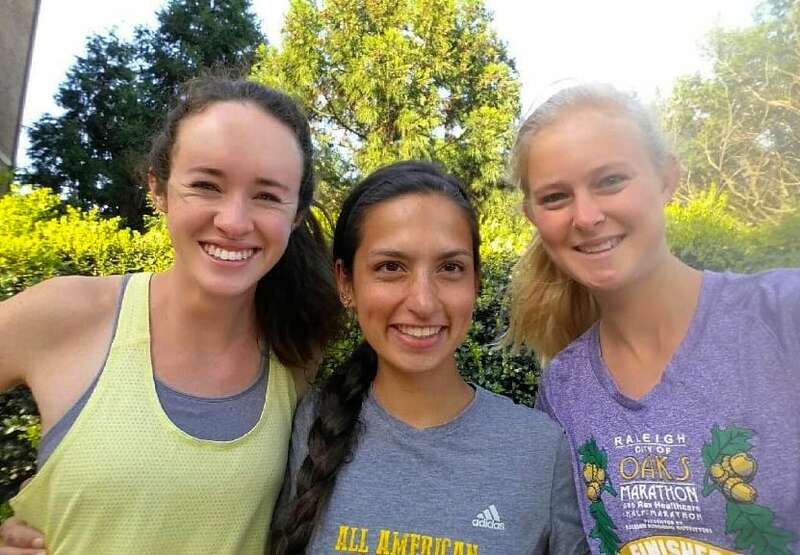 I always try to remind myself what my cross country coaches used to tell me– it takes about two weeks for our bodies to adjust to running in a new temperature. While we were getting used to the heat, we’d keep our workouts at a low intensity and not increase our mileage, and that’s what I still try to do now. Running slower than usual or even taking a walking break may be completely necessary. 2. Wear the lightest layer of clothes possible. 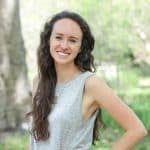 I love thin, loose, flowy running tank tops and I avoid buying tight tops or tops with built-in sports bras (because then you just end up sweating through TWO sports bras- why?). I also don’t run in cotton t-shirts, because those bad boys feel like a heat stroke waiting to happen. 3. Plan your runs during a cool part of the day as much as you can. It usually works best for me to get up and go early in the morning, so I try to focus on getting in bed early enough during the spring and summer time that I can get up early to beat the heat. 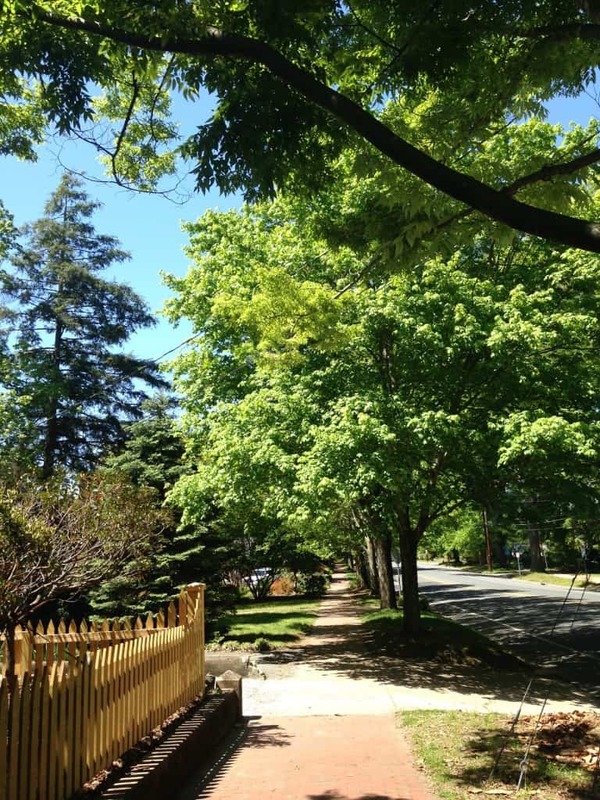 During the winter, I love running out near flat, open streets where I can feel the sun, but I try to stick to trails, greenways, and streets with lots of trees overhead for my summer runs. It makes a huge difference! 5. Focus on hydration before, sometimes during, and after your run. If I know I’ll be running more than a few miles on an especially hot day, I’ll plan to run by somewhere like a grocery store where I can get a quick sip of water from the water fountain. I drink a full bottle when I get back, and I try to stay extra hydrated throughout the rest of the day, too. I carry my refillable water bottle around with me, and as soon as it’s empty, I fill it up again. So, those are my very non-profound tips for surviving hot summer runs! While they’re pretty basic and common sense, I’ve found it to be really helpful to remind myself to a) cut myself some slack, b) start preparing for my early morning run the night before by getting in bed early enough, and c) drink tons of water all day long! Do you prefer running in the heat of summer or during the winter? The cold! I can bundle up and stay warm. What’s your favorite thing to eat or drink after a really hot run? I love having a smoothie or Greek yogurt for some protein. Do you have any hot weather running tips to add? I am already dreading running in the summer. Normally this is the time of year where my running significantly decreases because I try to avoid sweating at all costs. But this summer I’m going to try to still be somewhat decent with my running. I’ll definitely keep these tips in mind! Haha I love that you said you try to avoid sweating at all costs! I don’t mind it while I’m actually running, but I HAVE to shower off within a couple of minutes because I hate the feeling of being sweaty afterwards- ick! WOW, mid-90s already?! 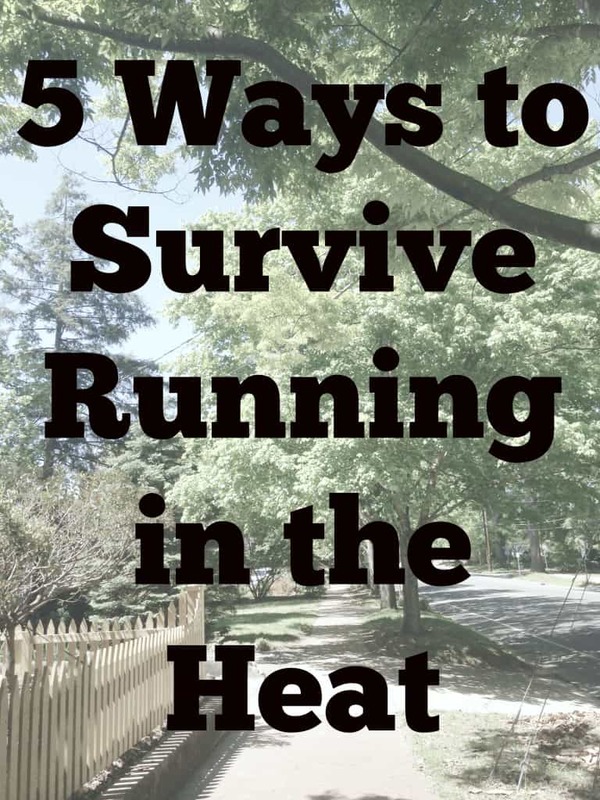 I bet you’ve come up with lots of creative ways to handle the heat while you run! Every year I think I won’t be able to adjust to the heat but I do…it just takes time (like you said)! I MUCH prefer running in the warmer weather, like 70 degrees. But we haven’t had many of those this year. Mostly 80-90’s. I think the humidity bothers me more than the heat. I would hands down rather run in the cold. Cuz once I’m maybe 5 minutes in I’m used to it and I’m fine. But the heat kills me. Bleh. This is so great! Good points Liv! I think that it’s important to go out in the coolest part of the day like you said… and find a bit of shade! …but not “shady” You’re so cute! Haha I’m glad you got my corny little joke 😉 Thanks, Cailee! Thanks so much, Liv. I have switched to morning runs and that has helped so much, but it won’t be 50 in the morning for much longer, so I will have to get used to at least 70. I was looking at my past running times as I’m gearing up for a 5K race this Saturday and I literally have improved so much in the past 4 years of running. My body knows its limits, but it also knows what it can do. The race was great yesterday. I wrote a recap on my blog. I didn’t have to worry about the heat. It was 40 degrees outside when we started the race. It was a great race and I look forward to having more time to train over the summer. omgoodness i know exactly how you feel! Here in Toronto during the summer its like 30 degrees Celsius at 6 am!! (Which i think is like 1 million degrees F, right?). I don’t even know how I do it but I come back drenched in sweat every time. And i literally wear a sports bra and tiny shorts for minimal clothing. Haha I think you got the conversion formula exactly right! 😉 Hope you can find some good paths for your summer running, Beverly! Most definitely the cold. I always feel really blessed by the fact that Colorado never really gets that warm. We probably have a few weeks that are in the 90s, but really, its a very mild summer here. I like to eat…. ICECREAM. Or I actually usually just like drinking a ton of water. I <3 water. I don’t run much, but I do hit the pavement in the summer months because its just too gosh darn gorgeous not to! I’ve run in 90 degree weather before and since I’m not a runner I only do about 3 miles but DANG I thought I was going to die! YES, it’s so gorgeous outside that I can’t wait to go run and it feels amazing for at least the first…half mile or so haha. I went running in the middle of the day Sunday because I thought the sun would feel good, I forget how draining it is when it’s hot! I ended up having to cut the run short. I think it’s time for me to transition to either morning or evening runs again. These are such great tips. After this winter, I kind of forgot that summer could be a thing that might happen, but as the temps get warmer I’ll be getting outside the gym more and these are great to remember. I really don’t cope very well with running in the warmer months, but when I do I make sure to go out as early as possible, before it gets too hot. These are good tips and things I normally have to do to survive the heat here in India 😉 It’s 90 degrees almost all year round, so it gets pretty tough, but now in May (the summer here) you are just dripping in sweat haha! Wow, already 100 degrees?! I can’t even imagine what it’ll be like mid-summer! I always feel ridiculously full after I drink a ton of water after I run, but it only lasts about 5 minutes haha. I just Googled that yogurt and it looks delicious! I’ll keep an eye out for it the next time I go to the store 🙂 Thanks for the recommendation, Hailey! Love this! Such wonderful tips, I love running in the summer when I can wear loose fit tanks and shorts, especially on the beach so that I can jump in the water after a long run…seriously the best feeling the world. I remember running in the afternoon in FLORIDA one summer, which was the worst idea of all time. I thought I was going to die (kinda sorta, not really). These are great tips! I completely agree with #1! My runs over the past few days have been at a slower pace than usual, but that’s just because my body is not used to running in the heat. Although, I do love running in shorts, lately! After being so bundled up in the winter it feels so different! Ugh the North Carolina heat is already killing me! Pretty soon it is going to be soo humid which is the worst! I am definitely a winter runner. I definitely prefer running in the heat as opposed to the bitter cold! Good idea choosing a shady spot to run to avoid over-heating and sunburn! Ooh, good point- I didn’t even mention sunburn in the post! But that’s an oh so real concern, too! Great tips and thanks for letting me know it takes about 2 weeks to adjust to new temperatures. Good to know…It gets humid as heck in Houston and it is exhausting to run in this. It’s all about hydration…early runs…and yes to super light clothing. Thanks for sharing! Thanks for your post.After moving to South Florida not too long ago my daily runs have been much harder than usual during the last few weeks. I will be training for a marathon for this November and I was trying to find some info online to see how other runners are copying with running in high heat. I was happy to find your article. 6 miles in 84 degrees this morning was not easy and my pace was much slower than usual. But I got the run in that’s all that matters, right? Right! When it cools off this fall, I bet you’ll be excited to see your pace pick up and start to incorporate some more speedy runs 🙂 Good luck with your marathon training and building your mileage this summer, Ilka!